Acquisition Career Field (ACF) Competency Assessment: The Army DACM Office continues to launch the TrueChoice ACF assessments across the Army Acquisition Workforce (AAW). AAW professionals are encouraged to take the assessments that were sent to individual email accounts. Assessments should be completed at your earliest convenience, and will be open until July 6. This initiative supports a goal outlined in the FY17-21 AAW Human Capital Strategic Plan to develop and sustain a professional, agile and qualified acquisition workforce. 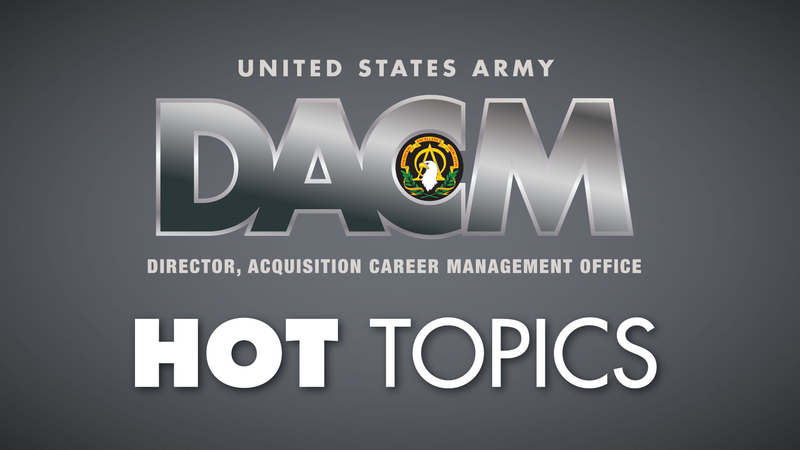 The assessment designed is to collect information from military and civilian acquisition professionals to inform future AAW human capital planning and investments, and it complements the OSD Acquisition Workforce Qualification Initiative. Senior Rated Potential Evaluation (SRPE): As part of Phase III of implementation, all GS-12s and broadband equivalents must have a completed SRPE this year. Look for an email containing specific instructions for all Phase III employees, raters and senior raters. The evaluation cycle opens Oct. 1, 2017. 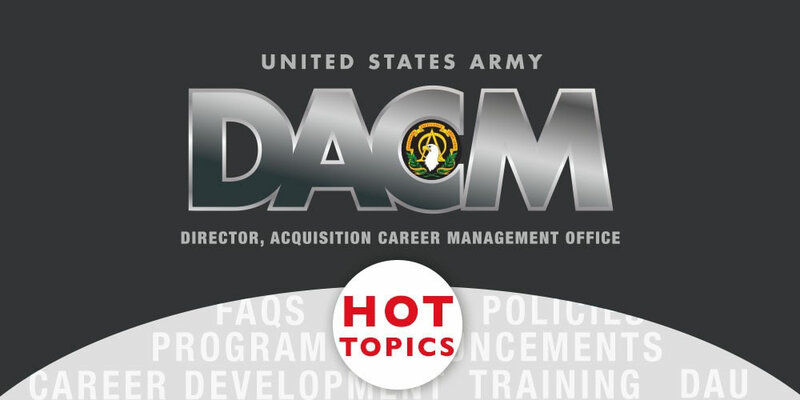 In Case You Missed It: Read the newest edition of the DACM Newsletter. Certification Changes: The experience certification requirement for Level III certification in Business – Cost Estimating will change from seven years of acquisition experience to six years, effective Oct. 1, 2017. 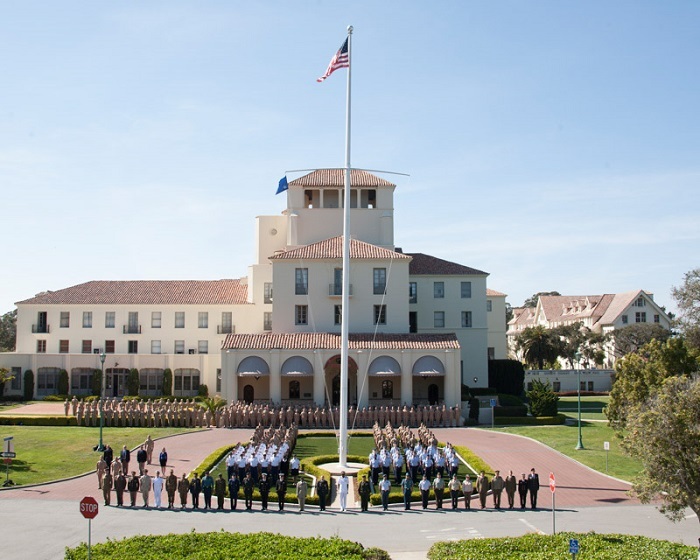 Defense Acquisition University (DAU) FY18 Schedule is open now! Students are encouraged to plan ahead and apply for courses early. Only priority 1 and 2 students applying to take courses in cost-effective locations will be funded. Acquisition Tuition Assistance Program is open through July 12, 2017. Go here for more information on the program or to apply. Five people completed the Competitive Development Group/Army Acquisition Fellowship, and were honored May 3, 2017 at a ceremony hosted by the Army DACM Office. Learn more about the program, including how to apply for the next cohort. 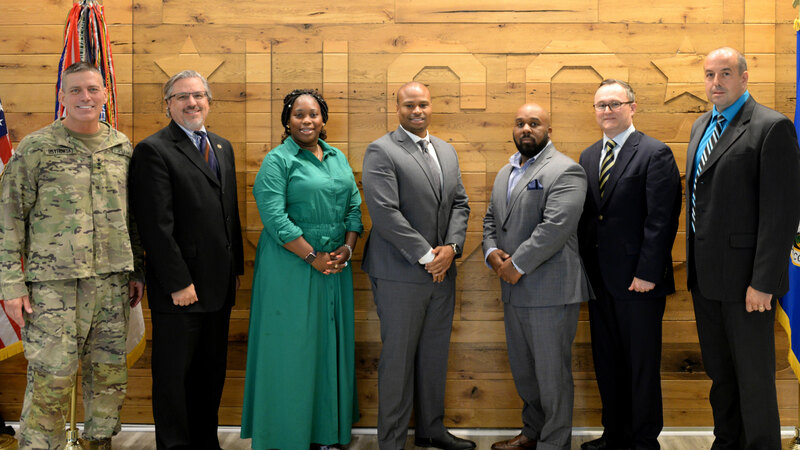 24 Defense Acquisition University – Senior Service College Fellowship (DAU‐SSCF) fellows have been selected for the 2017‐2018 cohort. The fellowship will be conducted by DAU at Aberdeen Proving Ground, Maryland; Huntsville, Alabama; and Warren, Michigan; and it aims to prepare acquisition civilians for senior positions, including product and project manager and program executive officer.